Understand your business trends by analysing data when you need it and how you need it. With UltraSoft built-in extensive analysis in data, graph and excel format, you can run your business centre like a clock work and increase efficiency and thrive profitability. 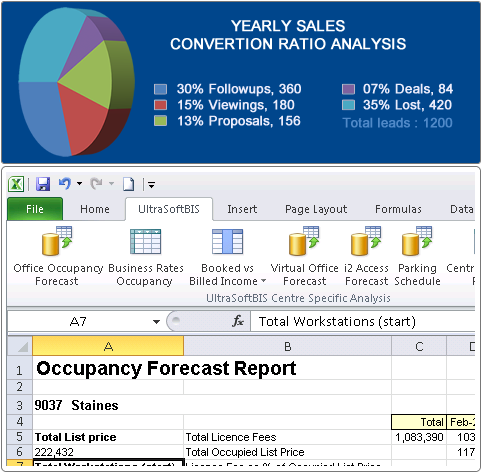 Automate group and centre occupancy. Automate booked vs. billed income. Automate sales conversion ratio analysis. Automate revenue by product type. Write your won report via built-in report writer. Plug-in your own report writer.